We LOVE Pink in all its Pinkness! 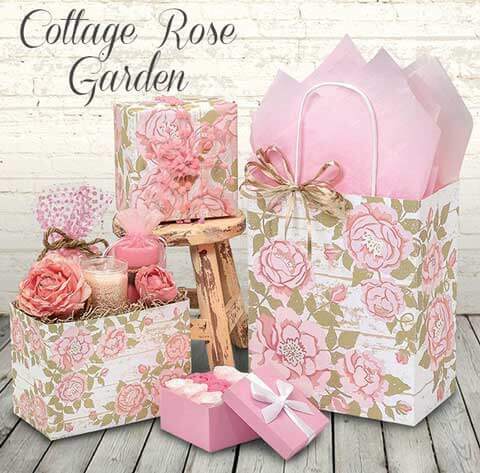 Perfect for the month of LOVE, our new Cottage Rose Garden is traditionally lovely with coordinating print and pink tissues. For a design twist, try metallic gold tissue or burlap ribbon. This Nashville Wraps exclusive collection is made in the USA from 100% recycled white kraft paper. 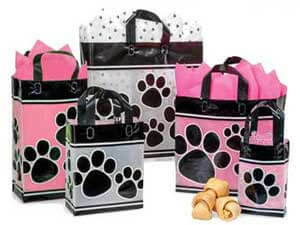 The shopping bags have coordinating 100% recycled tissue paper and recycled gift wrap, basket boxes and theme gift cards. 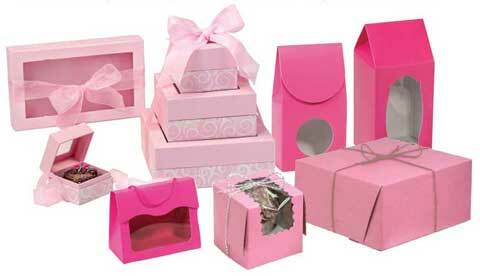 You can also mix pink jewelry boxes and pink organza bags nicely with this group. Perfect packaging for Mother’s Day! 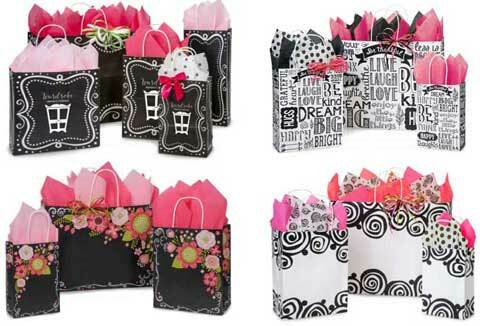 Serenity and sophistication – pink transforms black designs! From the top, left to right: Paw Print, Chalkboard Borders, Chalkboard Sentiments, Chalkboard Flowers and Bohemian Swirls. Sweet treats are all the sweeter packed in NEW pink swirl presentation boxes, classic pink bakery boxes, or dramatic hot pink window totes. See all pink candy boxes. 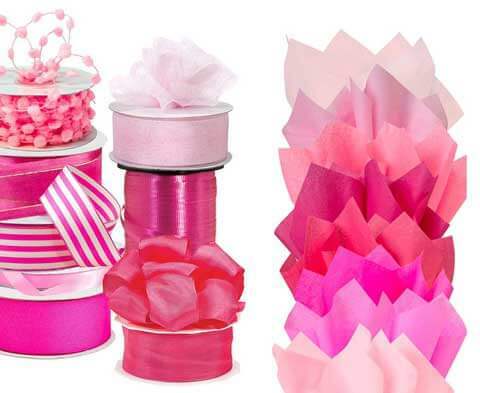 With pink ribbons and bows in too many colors to count and 8 shades of pink tissue, we have your perfect pink!